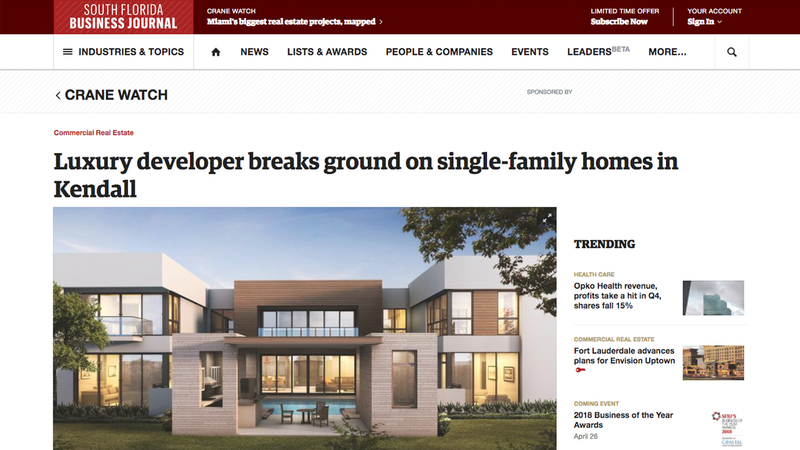 Sabal Development broke ground on its Veridian Grove community in eastern Kendall after securing a $16.22 million construction loan. Branch Banking & Trust Co. (NYSE: BBT) awarded the mortgage to 8290 Partners LLC, an affiliate of Sabal Development led by Pascal Nicolai. It consists of a $7.72 million acquisition and development loan and an $8.5 million revolving construction loan.